Lets’s talk about tax (and interest deductions for non- residents). Over the last couple of months, your correspondent has become completely obsessed with the Netflix series The Crown. There really is something for everyone: fifties fashion; power plays and constitutional crises. On top of that it should also be a training video on how NOT to give advice. Some of the incomplete partial advice the young QEII received from her chief advisors – as well as close family – was nothing short of incompetent and unprofessional. From time to time the Duchess of Windsor makes a minor appearance usually as a plot device for the Duke to explain things too. As well as coming from central casting as chief villian in the abdication saga – even though it wasn’t actually her that abdicated cherchez la femme I guess – she is also famous for that equally feminist quote that a woman can’t be too rich or too thin. I will have to take her word for that having never got that close to either. Now the thin part turns up in tax in something delightfully known as thin capitalisation. Now while it sounds – and is – quite techy it is a concept that underpins our ability to get tax from non-residents. So you know like quite important then. And also the basis of all my moaning that for all the talk on the government getting tough on multinationals a big ticket item like interest deductions keeps sliding away. And and no one is calling them on it. Soz dear readers but before we get to the truly exciting tax thin thing – kinda need to talk about how debt is taxed. 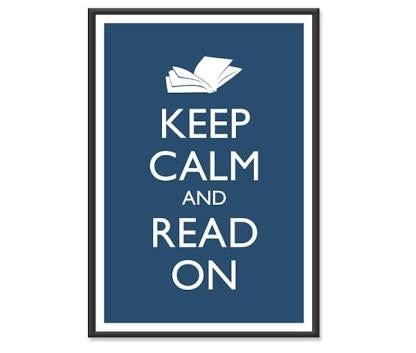 But you can do it dear readers – you can do it. Breathe in and out. When a totally New Zealand business borrows from a totally New Zealand bank – say the local dairy from Kiwibank – the interest paid reduces the dairy’s profit which in turn reduces the dairy’s tax to pay. However Kiwibank has to pay tax on that income. Now this is not the case when the lender is non-resident. Payments are still deductible but the non-resident lender is only taxed at most at 10% non-resident withholding tax. So in the previous example the $500 taxable profit has effectively become $400 taxable profit. The thing tho is that normal commercial and business considerations will naturally put a lid on how much debt a business has. As you actually have to pay it back and you have to have the cashflow to meet the interest payments. For the economists reading – a graph to keep you interested. But this isn’t the case though when you are a New Zealand subsidiary being directly funded by a foreign parent. It is going to have to fund you anyway and its balance sheet is taking the risk of your failure. So faced with the choice of funding by debt which costs 10% tax – at most – or 28% the company tax rate if funded with equity … Mmm tricky – let me get back to you in that one. So as a way of attempting to reapply some commercial pressure on a foreign controlled New Zealand company – the tax rules say if your debt is more than 60% then you are thinly capitalised and interest deductions effectively start to be denied. And what could be more fair than that? 1) Nature of business Some firms through the nature of their business aren’t naturally funded by debt – and so costs other than interest are their major deductions. Take for example a supermarket that rents its premises. It’s major asset will be its inventory that will primarily be funded by the terms given by its creditors. Its major deductions will be purchases, staff costs and electricity. This means that such a foreign owned business has the ability to insert additional debt and strip out profits based on its asset base that capital intensive businesses that are naturally funded by debt cannot. This is because for them the 60% threshold is already used up to pay for actual assets. And capital intensive businesses naturally funded with debt can’t just add additional purchases; staff costs and electricity to level the playing field as those costs won’t get profit back to its shareholders. In practice it isn’t supermarkets as I think they are all New Zealand owned cooperatives. But it is Life Insurers which are naturally funded by their policyholder base and distributors which are also naturally funded by their creditors. 2) Finance companies One of the other parts of the thin cap rules is that any firm that lends to third parties – finance companies – get a reduction in their debt amount and their assets amount by the value of their third party lending. It was originally brought in as a way of not making the rules too onerous for foreign owned banks. As it is completely legit that banks don’t carry equity levels of 40%. Unfortunately as the tax base found in the Banking tax avoidance cases it really didn’t put any practical constraint on excessive interest deductions. Now registered banks have their own special banking thin cap rules. But foreign owned finance companies – nothing. Effectively unconstrained interest deductions as was the case previously with the banks. And then there is a final hole in the rules that might be fair to everyone in the thin cap rules but not so much to anyone not controlled by a foreigner. Now you have all done really well to get this far. Go and get and drink of water or a cup of coffee and come back. You need to know this next bit. The thing about the thin cap rules is that they constrain the quantity of debt. Transfer pricing however sets a price for the interest on the debt. And the higher the levels of debt the higher the market price for the interest – as high levels of debt mean there is a higher risk of bankruptcy. This is what the economists graph says above – so it must be true. But but dear readers I hear you say – the thin cap rules constrain the amount of debt a company can hold so alg. The interest rate can only be at most that which relates to a 60% threshold. 1) Interest rate is worked out under transfer pricing based on actual amount of debt. Say 20% instead of 7% if really high bankruptcy risk. 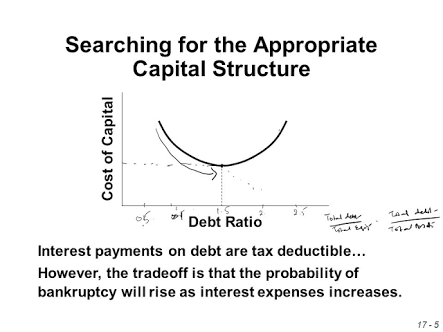 2) Interest rate x amount of debt calculated to give potential interest deduction. 3) Potential interest deduction reduced by proportion of debt over 60%. So as you see the higher interest rate still gets embedded as a deduction. It isn’t like transfer pricing insists on the interest rate that applies to the 60%. It seeks an armslength price for actual debt levels. And that is embedded in our treaties so no way around that. Now the OECD has proposed an option that would cut right through this. They are proposing that countries adopt an earnings stripping rule which would link the amount of allowed interest to the profit before tax. To the accountants – base the restriction on the P&L rather than the balance sheet. And yeah that would work. There are a bunch of issues that freak people out like what if I had a bad year and my sales fall and you restrict my interest deduction and I have to pay tax and I have had a bad year and it’s not fair. For these type of reasons there may be reasonable resistance to moving to the OECD proposals. But our current rules are far from even handed and contain a structural flaw. So Hon Judith if you choose not to adopt the OECD proposals – I look forward to your improvements to the existing rules coz a level playing field they ain’t. And with potentially a wall of American interest deductions looking for a new home, we need to make sure we are protected.